Libido Max, which is manufactured by Applied Nutrition has received quite a few good reviews from customers – with most of them being positive. These reviews generally talk about an increased libido, although there are more than a few negative reports as well. Libido Max is urged strongly not to be used by anyone with heart disorders or high blood pressure because some of the ingredients may produce some effects that are adverse to one’s health. 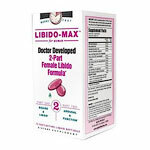 Libido Max also has some ingredients that make it unsafe for anyone who is nursing or pregnant as well. Unfortunately, one other thing that makes Libido Max not tops in the industry is its money-back guarantee. Since it is usually offered at online retailers such as Amazon.com, sometimes it may not exist at all. And since it is basically a hit-or-miss type product, if it doesn’t work for you then you’re basically out of luck. Although Libido Max may work well for some people, there are many other products that are proven to work much better, are much healthier and offer rock-solid money back guarantees. There’s really no reason to roll the dice with this one. Unless of course you like to gamble in the first place – if so, then by all means – but we cannot confidently recommend it when there are so many other products that are much better in all areas and categories. 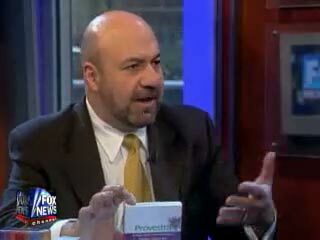 You are positively right; Libido-Max is a bad product, and the GUARANTY they post on the box is fake. I tried to send the UNOPENED box because my husband has high blood pressure, and they, in spite of the guaranty statement that if you are not satisfied you can return it at any time, they did not accept it. DO NOT, DO NOT BUY THIS PRODUCT; THESE PEOPLE ARE LIERS AND DO NOT COMPY WITH THEIR PROMISE OF RETURNING THE PRODUCT.